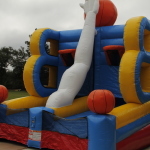 Full-Court Press is great for Festivals, events and birthday parties! Our Full Court Press™ is designed so that as each player makes a basket, the ball comes out on the opponents side! A great game for all ages! 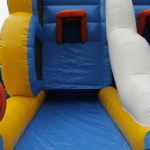 This fun game is available by itself for $125 or can be rented as an add-on to another rental for $75.